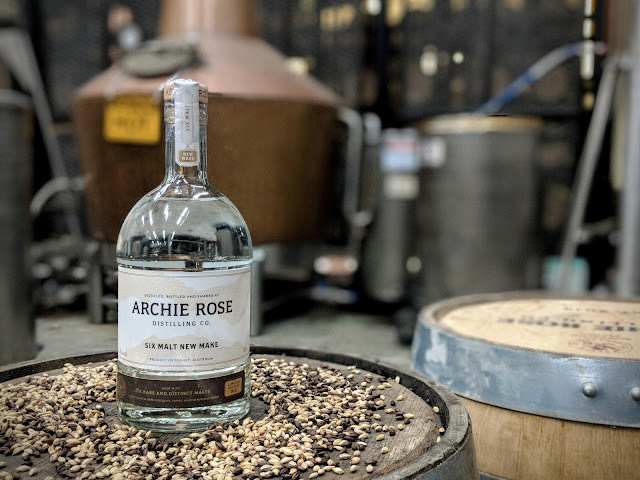 Archie Rose, our local favourite distillery here in Sydney has always been known for its innovative ways with recent releases including the Archie Rose X KAIJU! Beer Aged Spirit, Agricole Rhums (using fresh cane juice from Condog, NSW) and the beautiful Archie Rose x Horisumi Gin Set. Notwithstanding these releases, they also offer customers the ability to craft and tailor their own gin, vodka and whisky - the latter includes help with maturation at the distillery. Continuing with their innovative pursuit in the spirit scene, later this week, Archie Rose will launch another limited release - this time in the form of a new make blend, derived from six different malt mash bills (six malt wash). 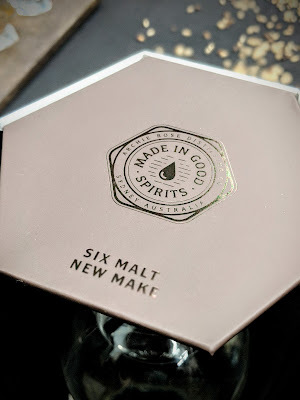 Simply named Six Malt New Make, this new make spirit release will provide some insights into how the base spirit of Archie Rose's (soon to be released) Single Malt Whisky starts its life - unaged, unfiltered and raw. Having tasted the new make, the spirit embodies the quality and depth that you will definitely see in the final, aged Archie Rose whisky. Though what is interesting is all the elements that you get when the different malts are mixed together. So how does it smell and taste? Absolutely fascinating and assertive. Nose is fruity and layered with dried banana, stewed apple, cinnamon porridge. On the palate, dry weet bix, raspberries, oats, granola and muesli bar. It's different, delicate and balanced and very much enjoyable on its own or mixed with cocktails such as the New Make Old Fashioned that is served at the Bar. Bottled at 50% ABV and with 3,000 bottles being released this week, on July 19, the Six Malt New Make might disappear rather quickly. It is available for purchase from the Archie Rose Shop. Also being released on the same day is “Spirit Data,” a new feature on the Archie Rose's website www.archierose.com.au, which provides a deeper look into the whisky production on a batch by batch basis, detailed tasting and production notes from the distillery floor and bond store. 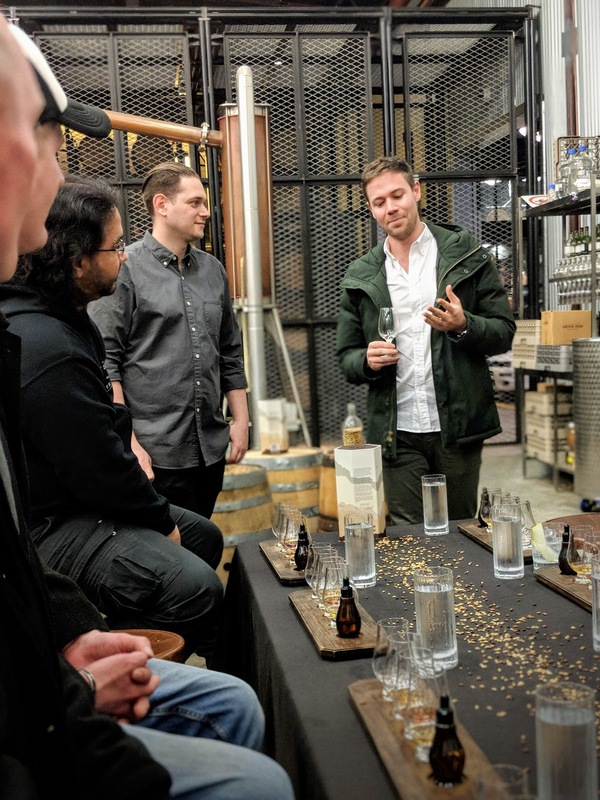 This is akin to what Compass Box has been advocating for, transparency over facts on various aspects that make up the final spirit. Thanks to Will, Dave and team as well as Melinda Durston of Melting Pot Communications for having us at the tasting of this new Six Malt New Make.